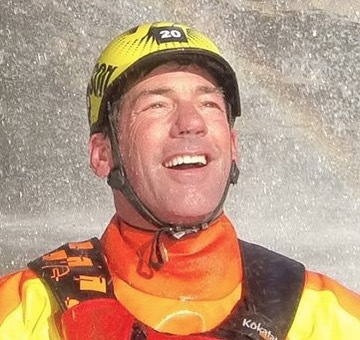 The world's top paddling news in week 26, 2018. Palm Blogs - With airline policy and airport security getting stricter, gone are the days when you can rock up to the airport with two kayaks, a bag of paddles, a suitcase, and a winning attitude. Nowadays you need to plan ahead to guarantee airport success, here’s some tips and tricks to get you to your dream kayaking destination. Simon Willis - While working for the BBC, I filmed in the dissection room at Dundee University. The boss, Professor Dame Sue Black , wanted to go on television to appeal for more people to leave their bodies to anatomy departments. SUP Connect - For the first time in history five stand up paddlers Vallentin Illichmann, Stéphane Pion, Nicolas Fayol and Stetcher twins Mario and Manuel have successfully completed a self-supported descent of the deepest canyon in Europe, the Tara River Canyon. unsponsored - I don’t know when the change happened, whether it was a gradual awakening or a sudden realization, but I have woken up. SUP Connect - Paddle boarding provides an excellent way to exercise while soaking up the sun and enjoying the water. However, it isn't as easy as it appears to those who watch from the shoreline. In order to ensure that you make the most of your time on the water, start your day off wearing the right thing. Canoe Kayak - Once again, Idaho’s North Fork Championship has proven why many consider it the premier event of the extreme whitewater racing circuit. While this year’s edition did not boast the same sphincter-clinching high flows of last year’s event, the course design and deeply talented field of competitors made NFC VII just as exciting. Rapid Magazine Blog - Jackson Kayak has changed its Rockstar series completely in the June 15, 2018 launch of the All-New Rockstar 4.0 freestyle kayak. Simon Wyndham - With video production and video & film technology journalism being my main professions in life (I’m currently the deputy editor of RedShark News if you’re interested) I am quite often asked how to get the best from cameras, and how best to edit. SUP Magazine - One lucky lady gets to score fun waves during a recent SUP surfing session in the beautiful Caribbean island of Barbados. Traversing - The GoHeart outdoor networking device is on Kickstarter to hopefully become your next go-to device to stay connected in the backcountry. Ginni Callahan - Sometimes you just need to go. Get outside. Sleep under the stars. Remember what all the computer work is for. 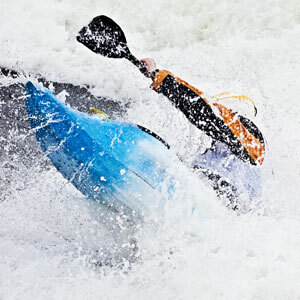 Jackson Kayak - When it comes to teaching or learning kayaking, skills, drills and progressions can only get you so far. One of my absolute favorite things to do with my new students is play. Once you start playing a game, fun is your goal. Students get really into Sponge Polo or Sharks and Minnows, and then, you suddenly see those beautiful sweep strokes put into action, and people paddling in a straight line, which seemed near impossible in your forward stroke drill. Werner - When you can put your boat and your paddle in your backpack, the world is your oyster. Packrafts – ultralight, ultra-packable inflatable rafts – have been quietly revolutionizing backcountry travel in Alaska and the Rocky Mountain states for some years. Canoe Kayak - Interviews with 17 kayakers about what they believe makes Banks, Idaho so special.